THE investment casting process competes with the majority of metal forming processes and offers some unique advantages when casting in stainless steel or alloys, explains Supreme Steel Products . Investment casting offers a multitude of benefits which include: cost savings, design freedom, close tolerances, better finishes, savings in machining time, reproducability, and assembly savings. Initial tooling costs are lower than for most other metal forming techniques. Most tooling is of aluminium alloy or aluminium filled epoxy materials. New techniques in rapid prototyping can provide prototype patterns for evaluation purposes where needed. Tooling costs, averaged over the parts produced, are often lower than other manufacturing tooling costs. Investment castings are essentially cast to size. As a result there is little machining necessary with consequent saving in time and material costs. In addition, the investment casting process offers infinite alloy choices, and unlimited design flexibility for external and internal configurations. Unlike other casting methods, there is no draft requirement in the investment casting process. 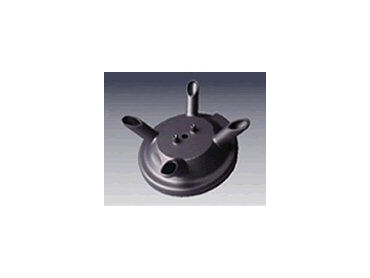 The investment casting process gives a reliable and consistent product. Due to positive process control programs, remarkable consistency is maintained within batches and from batch to batch. Investment casting produces the closest tolerances of any casting process over a wide range of alloys. A surface finish of about 125 RMS is typical for steel castings. No casting process produces a finer surface finish than the investment, according to the company.